A Network Marketing Strategy is very underrated. Many network marketers join an MLM company with a goal in mind but many never have a strategy. A strategy is defined (according to the Merriam-Webster Dictionary) as, “a plan of action or policy designed to achieve a major or overall aim”. Therefore, a goal without a strategy is just a wish or a hope. You are only HOPING that things work out. You WISH you can be the next 6 figure earner. You HOPE you can get to the first qualified position. If you are wishing or hoping things work out because you go through the motions and don’t have a network marketing strategy, it is only a matter of time where you face what most people call MLM Depression. If you have a goal to do 100 push ups by the end of the day, you can try to do 100 push ups straight. However, that may be too much for you. Therefore, you develop a strategy to reach that goal. Your strategy may by 2 set of 50 push ups, or 4 sets of 25. You may even do 10 push ups every 30 minutes for 5 hours. However, your goal will be met. In this case this would be a strategy to get 1 million dollars. In your case your network marketing strategy may be different than others. However, most strategies are tailored to that person’s personal abilities. Even if your company incorporates the 5 marketing trends in order to be successful, if it works, by all means take advantage of it! If you are in an MLM company, your company most likely has strategies made out for you to follow. You may hear you company at one time or another say, “Follow the System.” The system is the strategy that they set in place for you. I don’t know your specific goal in MLM but the following is a recommended to get you off to a good start in MLM. If your company has an online app, it would be in your best interest to download it. To give you immediate access to the tools that your company provides. Even though depending what area you are in, internet connectivity may be limited. However you would still have access to the basic functions that your company provides through the app. The reason you would want to join your company’s social media groups are to get immediate updates regarding your company as soon as they happen. You also would have access to find solutions to common issues you may be dealing with as well as stay informed. In a traditional business, they wait for customers to come in the door to support their business. In mlm you have to contact the customers. Our names list is the lifeblood to your business. Without it you have very little chance of success. This event may be the most important event of your mlm career. This can literally get you of to a speedy and profitable start in your mlm journey. This can also create the momentum you need to carry you through to the first earned rank within days. Listen to Audios - After joining your business, it is important to listen to audios that the company provides. This will keep your mind focused on your goal, instead of listening to potential negative individuals that you may come across within days after joining. Start Tracking your Exposures - Treat your opportunity like a real business. You have to have checks and balances as far as who you’ve contacted, who you exposed, how you exposed them, You you followed up with, who joined, etc. Take Statistics and Determine Your Averages - When you track your exposures, it will help you determine your law of averages. This will help you determine what is necessary for you to reach your goal. If your opportunity can be shared through online video, share with 6 people within 24hrs (Share with at least 1 person per day in general.) - If your opportunity can be exposed online this will give you the opportunity to show many more people in a short time instead of waiting days for your launch party. Enroll 1 Customer or Customer / Rep. - When you enroll a customer or representative, it will open the doors to new opportunity immediately. This will most likely give you access to have your customer eventually become a rep. Also your new rep has a warm market list also that you can work from. Work with that customer to understand the product - If a customer signs up with you to use the product, the company most likely has a customer service line that can help them. However, that doesn’t mean you’re supposed to forget that they exist. Help them purchase their first product, and help them become familiar with it, as well as customer service. Work with that representative to duplicate what you’re doing - The best thing you can do when you acquire a representative is to make it as easy as possible for them to expose others to the opportunity. If it is so hard, it feels like work to them, they may get frustrated and quit. Everything should be easily duplicatable. Learn how to present the material - Once you learn how to present your material, you start to become independent. You still have your upline available for help, however, when you learn how to present you own material, you start becoming an expert on your business. Purchase / Acquire your companies product - If you are representing a company, it is strongly recommended that you try or purchase their products if possible. This will help raise your believe in the product and help you relate to it more. Purchase ticket to the next major training event - These training events are normally held on a Saturday. These events include product familiarization and training events that is normally within driving distance from your home. These events usually include members from your regional area. Attend a major training event (Regional or National) - If you plan on getting anywhere far in your company, it is VERY important that you attend a major training event. This will have you networking with people in your company nationwide (or internationally). 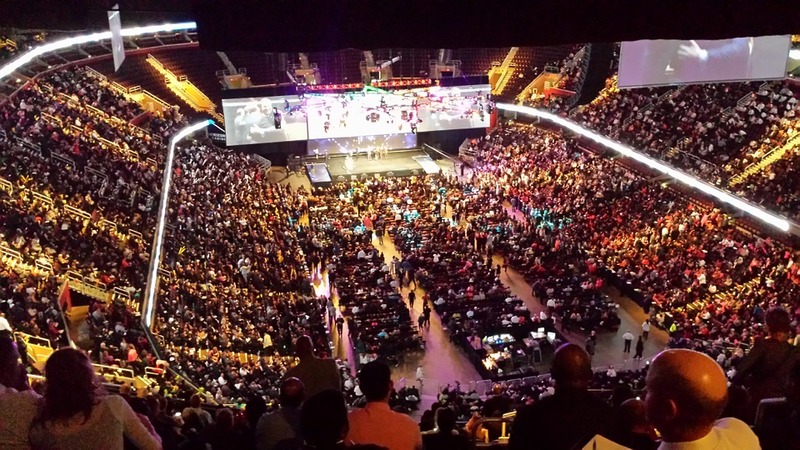 You will receive some of the best training surrounded by thousands of people at these events. The above network marketing strategy is there to help you where you lack. There's no guarantee of income associated with the above method. However, if followed it'll help you see a considerable increase in productivity. The Network Marketing Strategy . . .
FREE eBook! . . . 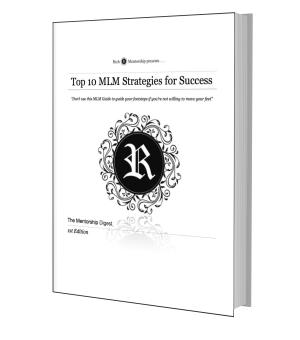 The Top 10 MLM Strategies for Success . . . Get Yours Today!